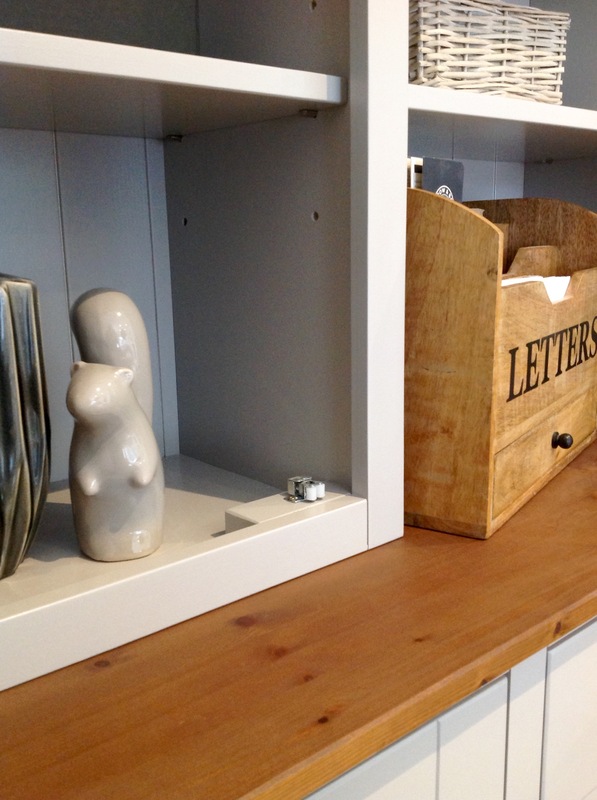 THIS DRESSER HAS BUNDLES OF STORAGE SPACE, OF VARIOUS TYPES, OPEN SHELVING FOR DISPLAYING YOUR FAVOURITE DECORATIVE ITEMS. 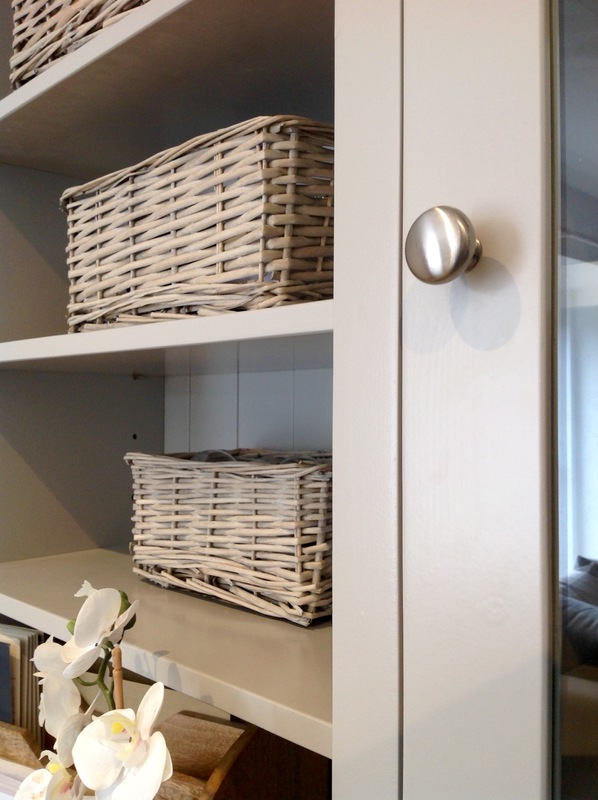 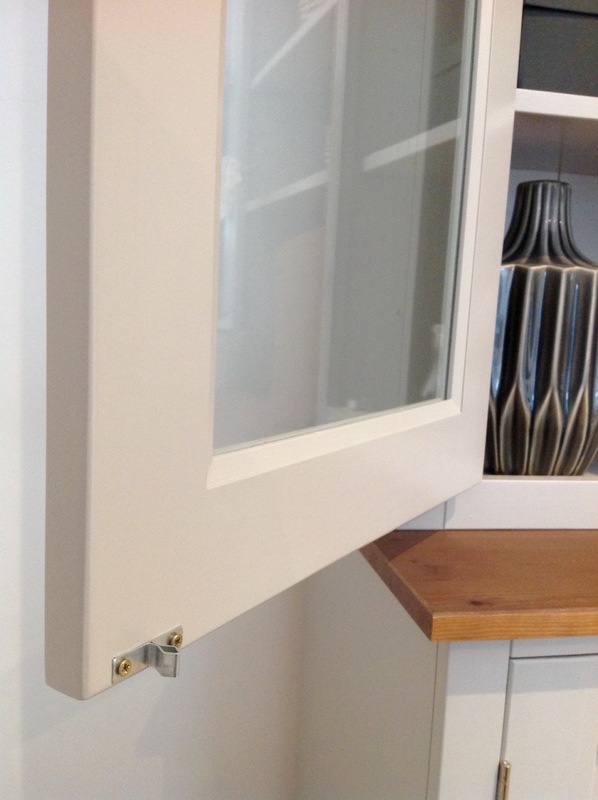 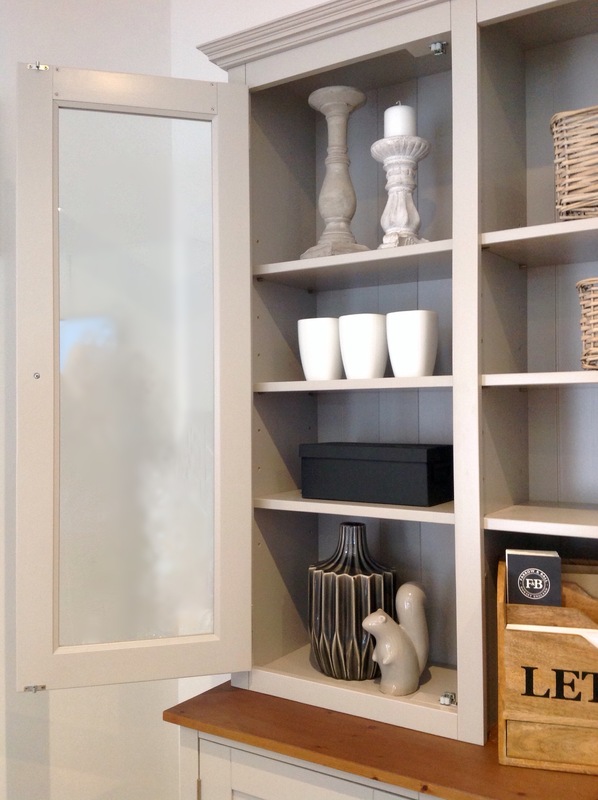 GLASS CUPBOARDS, GREAT FOR DISPLAY AND STORAGE. 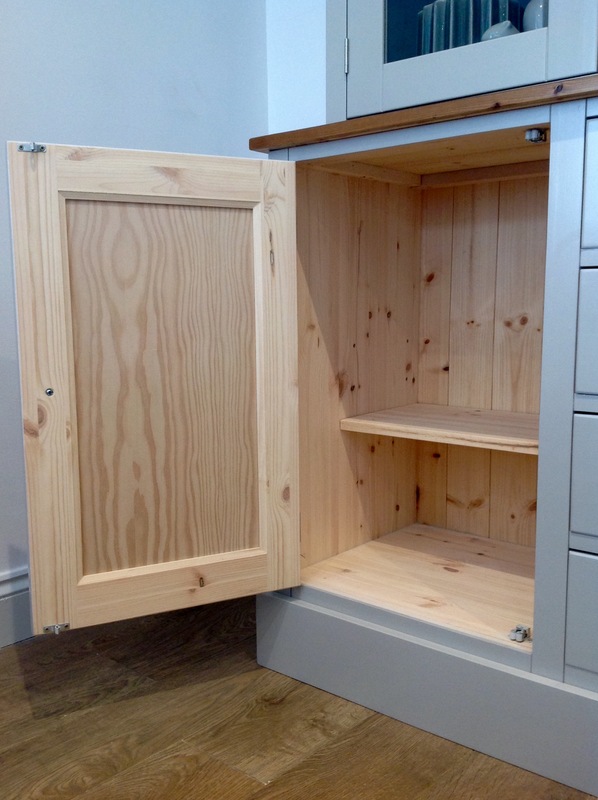 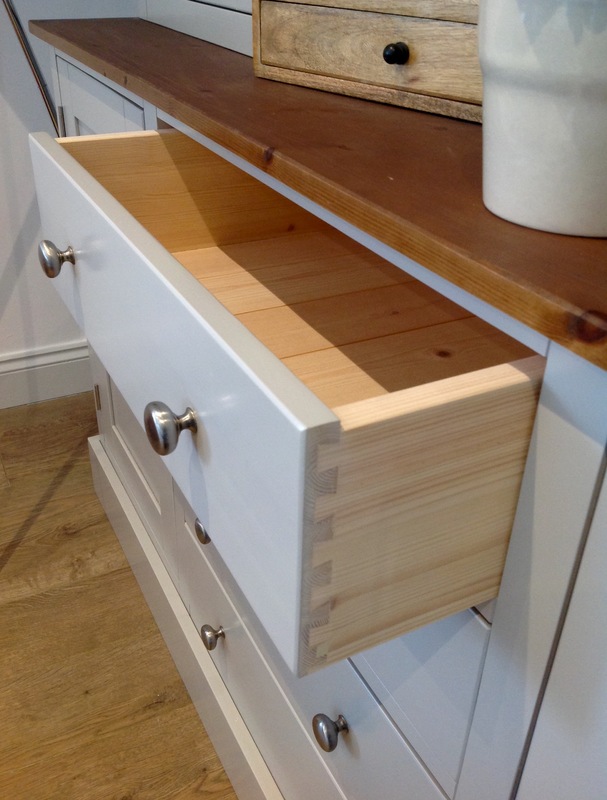 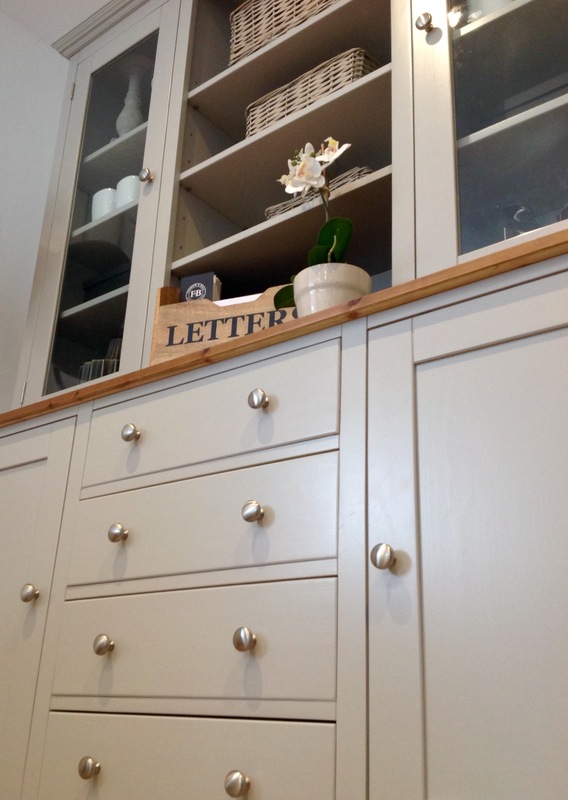 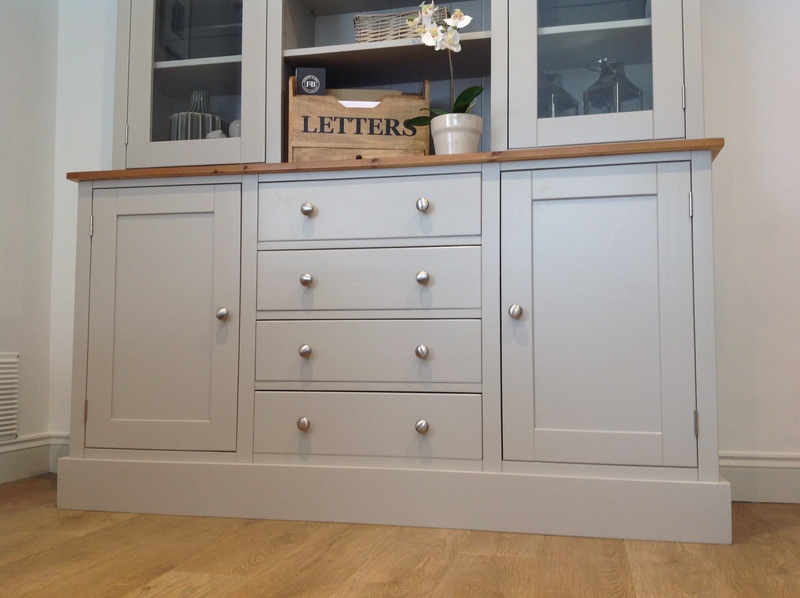 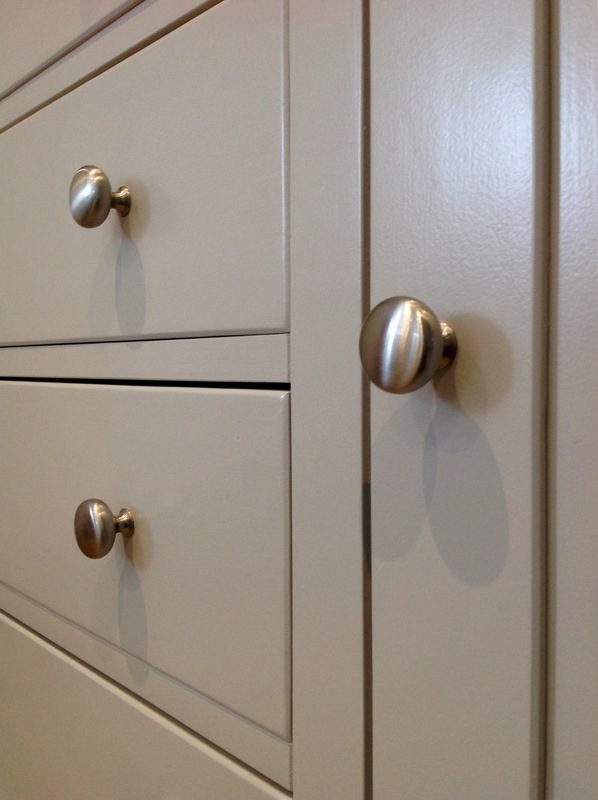 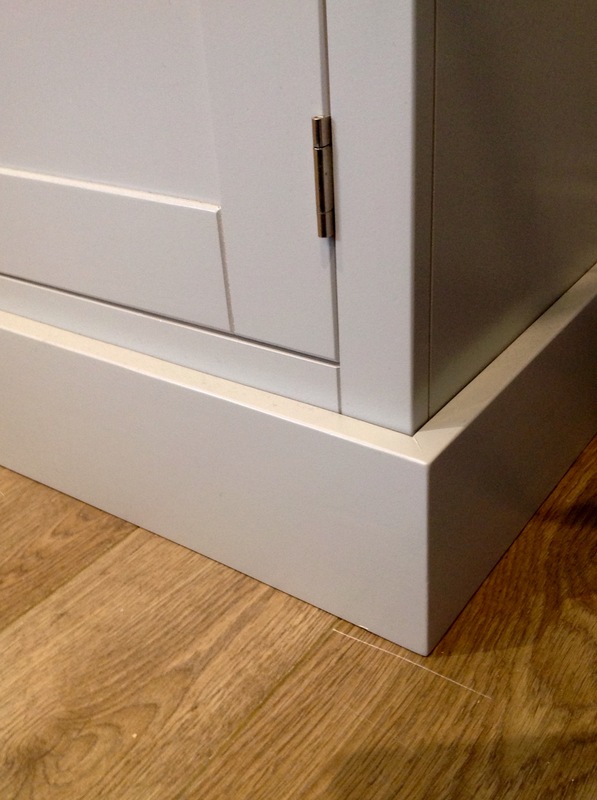 DRAWERS AND STANDARD CUPBOARDS TOO FOR STORAGE. 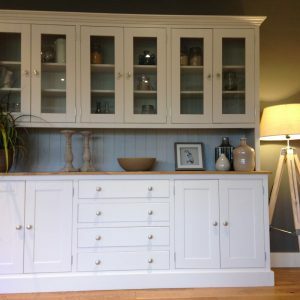 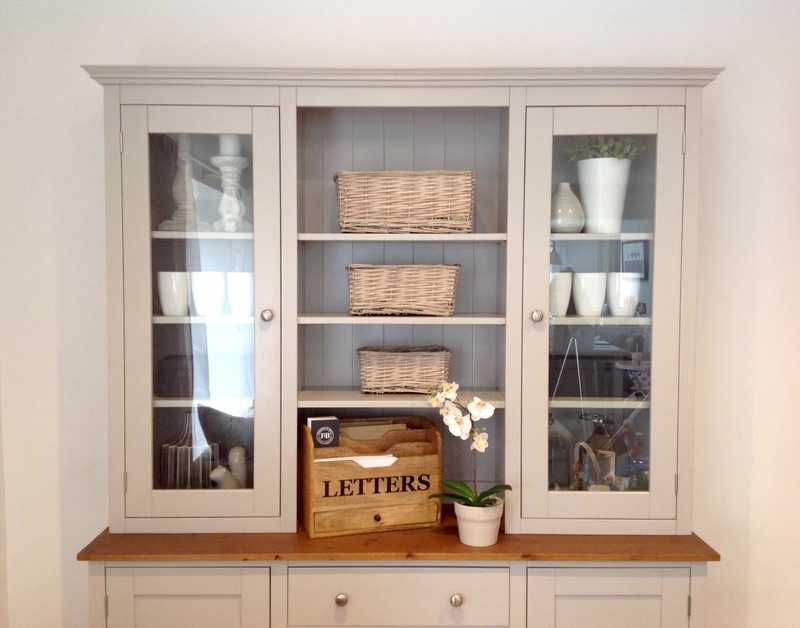 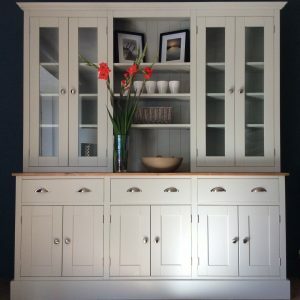 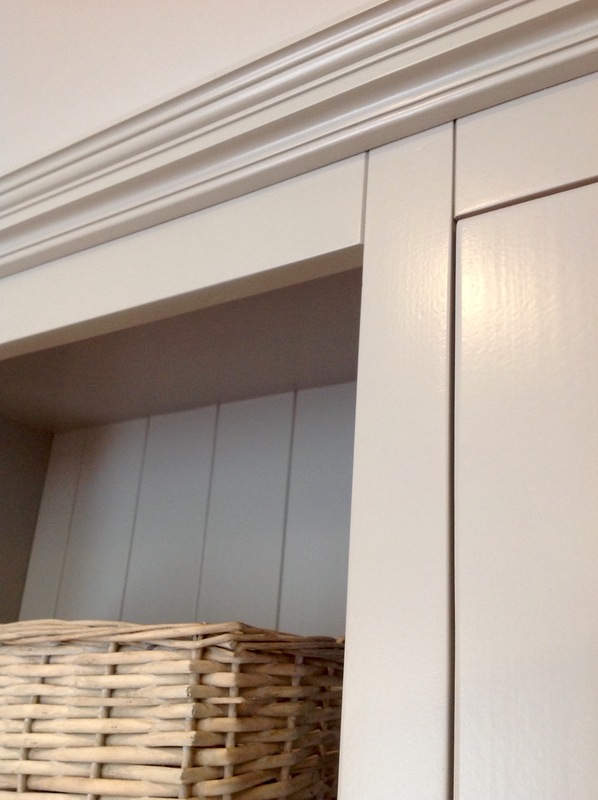 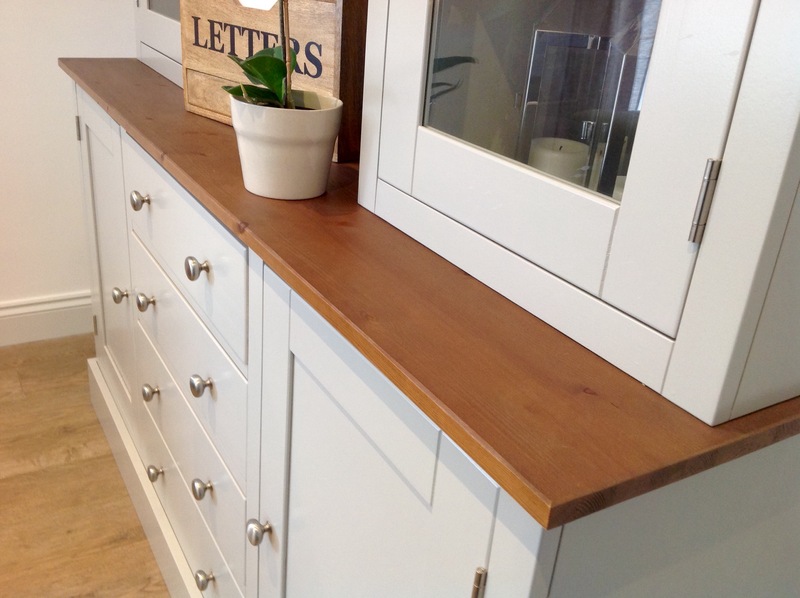 THE PRACTICALITY OF THIS WELSH DRESSER DOESN'T TAKE ANYTHING AWAY FROM ITS BEAUTIFUL DESIGN. 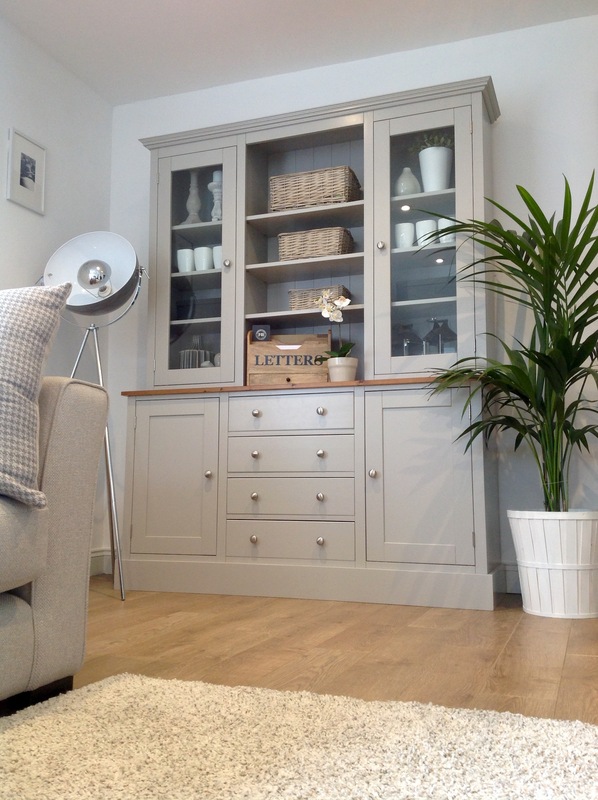 CONTEMPORARY CLEAN LINES AND SYMMETRY MAKES THIS A REALLY STYLISH OPTION. 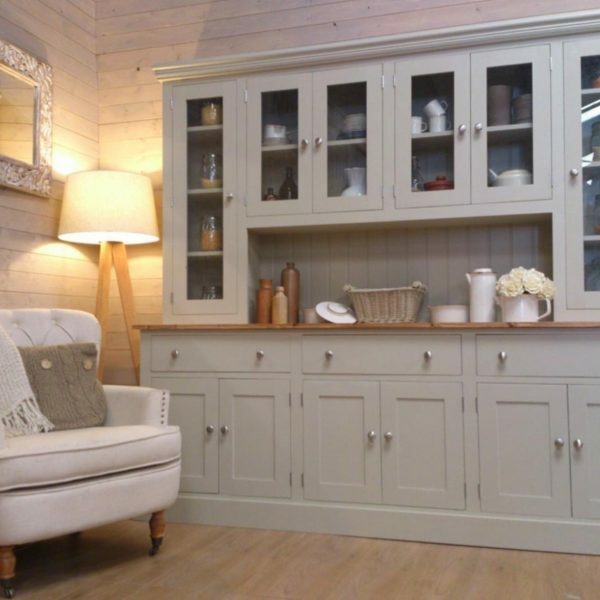 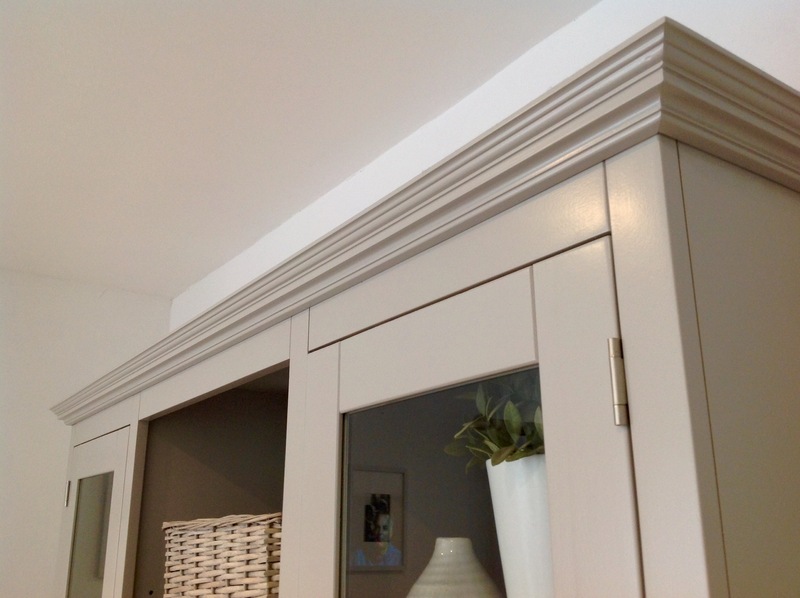 MADE OF SOLID PINE THROUGHOUT AND HANDMADE HERE IN THE U.K.
YOU HAVE THE CHOICE OF ANY FARROW AND BALL PAINT COLOUR INCLUDED IN THE PRICE.